Melissa on the road: "The Saddest Bear Of All"
Today, a special, a tiny bit different, type of choice. A short story for children. The children in us. It was the first children’s book I wrote, and I was lucky enough to have it illustrated by my friend minkee, who made it much more beautiful than it ever really had any right to be." 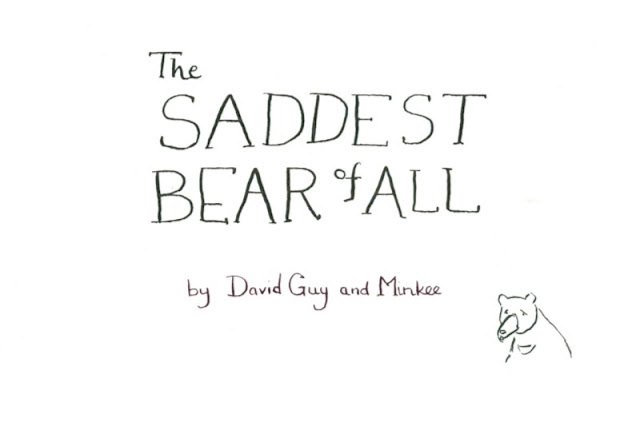 The Saddest Bear Of All is currently available to buy on iTunes. I’m all out of print versions at the moment, though, unfortunately.